We are pleased to announce the stable release of SupportPal 2.3.0 with our flagship new feature, 'forwarding tickets'. The new release also provides support for PHP 7.1 and 7.2, along with other enhancements, which have been detailed below. As a business you may have third parties, such as suppliers or contractors, whom you have to contact based on the support requests you receive. Currently you may be contacting them outside of the help desk or by opening another ticket, which can be difficult to manage, cumbersome and time consuming. The new release introduces a 'Forward' message option that be found in the ticket view. 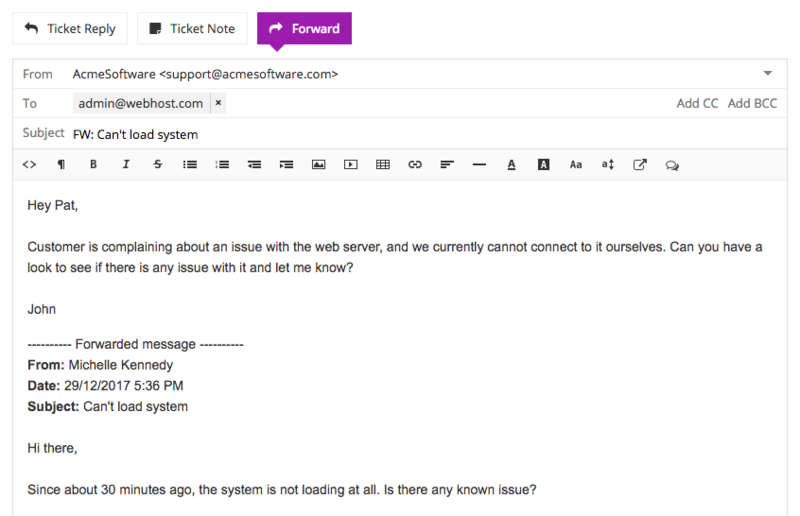 Just click the tab and it pre-fills the text area with the existing ticket content, similar to a regular email client. You can send the email to anyone, from either a department email or your own email address (so that it looks more personal), as well as edit the subject and contents. Not only is it quicker and easier, it is also all logged within the same ticket so that other operators can see it too. The forward tab by default lets you forward the whole ticket, but you can also forward a specific message or from a certain point in the ticket, by using the forward options in the new message actions menu. 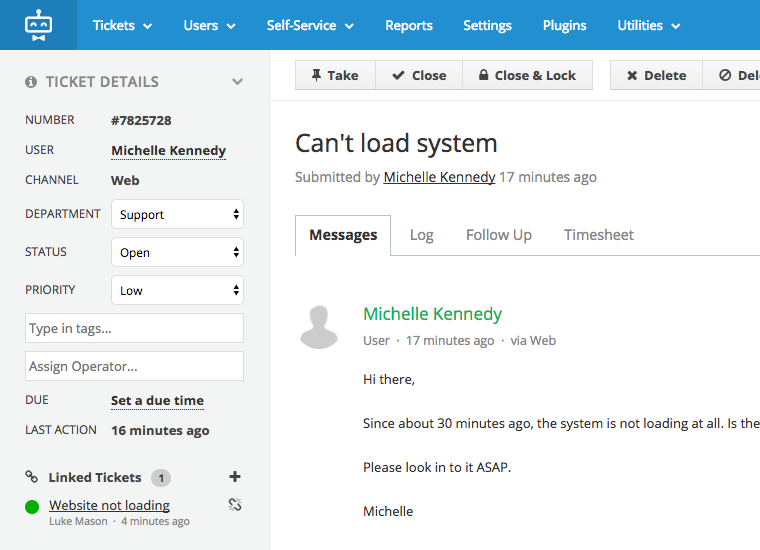 Often your users may send you a request which is related to a previous ticket they opened, or you may have a number of different users contacting you about a similar issue. 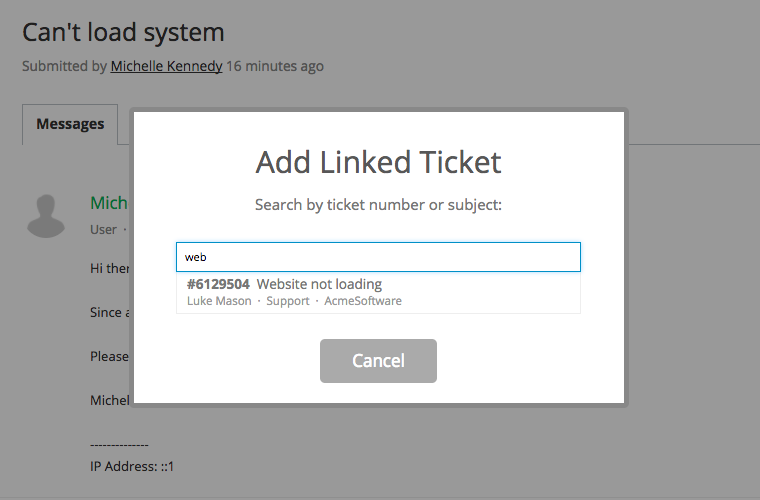 Now it's possible to link tickets, allowing you to easily and quickly view associated tickets. When wanting to link another ticket, a modal appears in the ticket view and allows you to search by ticket number or subject. Multiple tickets can also be linked from the ticket grid too. 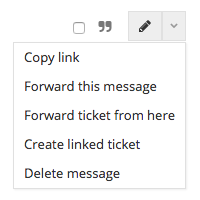 It's also now possible to create a new linked ticket directly based on a specific message using the message actions dropdown. It'll pre-fill the new ticket form with the old ticket subject and the ticket message content, allowing changes as required, before the new ticket is created. Splitting ticket messages will now also automatically link to the existing ticket. With the latest release, we're now able to offer support for PHP 7.1 and 7.2, requiring the installation of the recently released ionCube 10.1 loaders. The 2.3 series will be our last series to support PHP 5, so we encourage users to update to PHP 7 in the near future, if you have not already done so. If a ticket has CC email addresses, any reply by one of the users will email an update to the other users to keep them in the loop. Custom fields can now depend on another custom field and only show if a certain value is set. Custom field regex validation can now be set with a custom error message to be displayed when it doesn't pass the validation. Custom fields for tickets, users and user organisations can now be used as filtering conditions. Custom field options and follow up, macro and SLA plan actions can now be re-ordered. Improved warnings are displayed when you are about to delete a record which could trigger further deletions in the database.